The Champion My Phone 36 is yet another device in the My phone range. Champion believes in producing affordable and durable technology, and this new range does justice to it. The My Phone 36 got launched on 17 August 2015 and is a tough competitor to the Micromax Bolt and Lenovo P70. The specifications of this phone include a 3.5-inch TFT LCD display with a resolution of 320x480 pixels at a density of 165 PPI. Booting on the Android v4.2 Jelly Bean OS, it houses a 1500 mAh Li-ion battery that ensures long hours. Powered by a 1GHz processor it comes coupled with 512MB RAM. Talking about the storage of the phone it has an internal storage of 512MB that is expandable up to 32GB via a MicroSD card. With a score of 3.5 out of 5, this device has received much love in the market by the people who are looking for a smartphone in this very range. 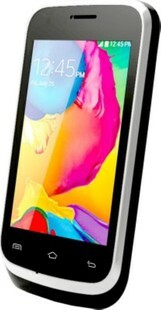 The Champion My Phone 36 is priced at a minimum of INR 3,200. Champion My Phone 36 full specs and reviews as of Apr 2019. Buy it here!